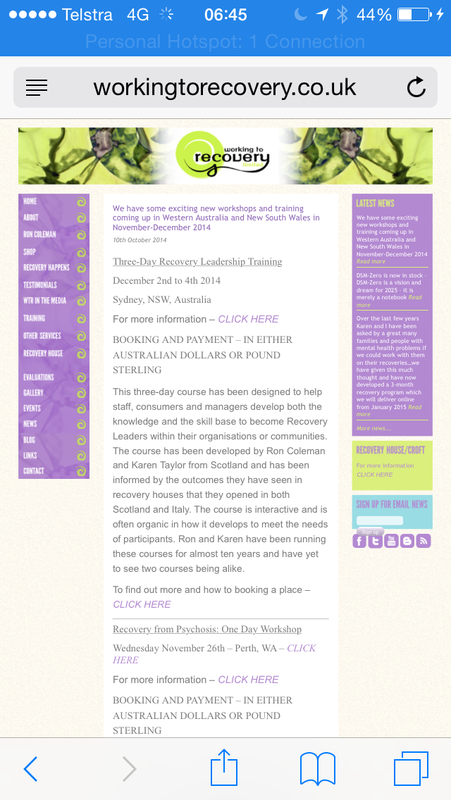 This three-day course has been designed to help staff, consumers and managers develop both the knowledge and the skill base to become Recovery Leaders within their organisations or communities. The course has been developed by Ron Coleman and Karen Taylor from Scotland and has been informed by the outcomes they have seen in recovery houses that they opened in both Scotland and Italy. The course is interactive and is often organic in how it develops to meet the needs of participants. Ron and Karen have been running these courses for almost ten years and have yet to see two courses being alike.